It seems like just about everyone has gone through the flu this year! 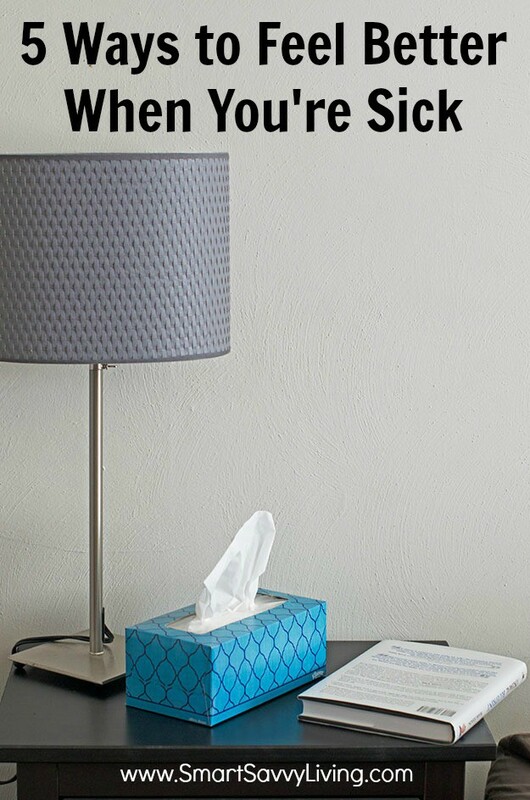 Try out these 5 ways to feel better when you’re sick. Earlier this cold season I posted an article with 11 ways to avoid getting a cold or the flu, but what do you do when you’re already sick? When you have a virus, there’s no magical pill, but there are several ways to help yourself feel better and help alleviate those icky symptoms. Check out these 5 ways to feel better when you’re sick. 1. Get as much rest as you can. When you rest, you give your body the ability to really concentrate on defeating the virus you caught instead of whatever activity you’d otherwise be doing. So whether it’s lounging on the couch watching TV or curled up in bed asleep, make sure to get as much rest as you can. 2. Stay well hydrated. Staying hydrated is important to do every day, but it’s even more important when you’re sick. Not only does it help your body function, but it also helps to thin mucous when you’re congested. 3. Eat plenty of bone broth or stock. Bone broths and stocks is some of the most healthy things you can consume. Not only will the warm steamy broth help you feel better and help ease a sore throat, but it’s also packed full of nutrients to help you get over the illness. 4. Behold, the power of steam! Whether it’s a steaming mug of tea with honey, a hot shower, or warm bath, steam can do wonders to help you feel better when sick. It can help ease sore throats and help you breathe easier when congested. Plus a hot shower or warm bath can also help relieve aches common with the flu. 5. Use a medication to help alleviate your symptoms. Sometimes you just don’t have the time to lounge around and wait for sickness to pass. Luckily, there are a variety of medications available these days to help you feel better and get what you need to done. 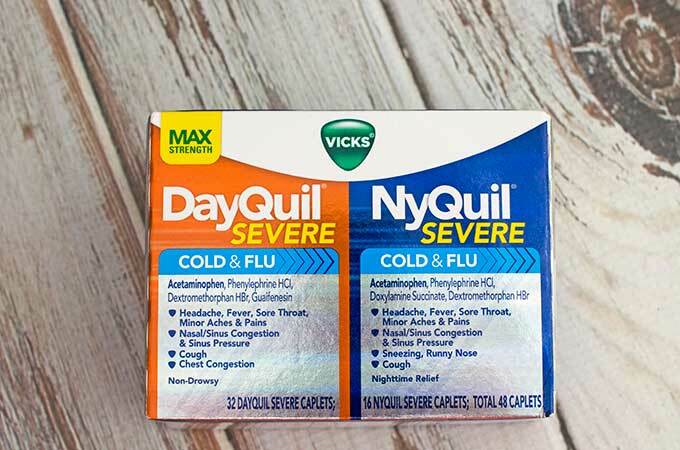 My go-tos have always been DayQuil and NyQuil. I love that DayQuil helps me to feel better and be able to concentrate on what I need to get done without feeling like I’m living in a haze. NyQuil is great for those nights where you feel super drainer but can’t sleep or constantly wake yourself up with a stuffy nose. 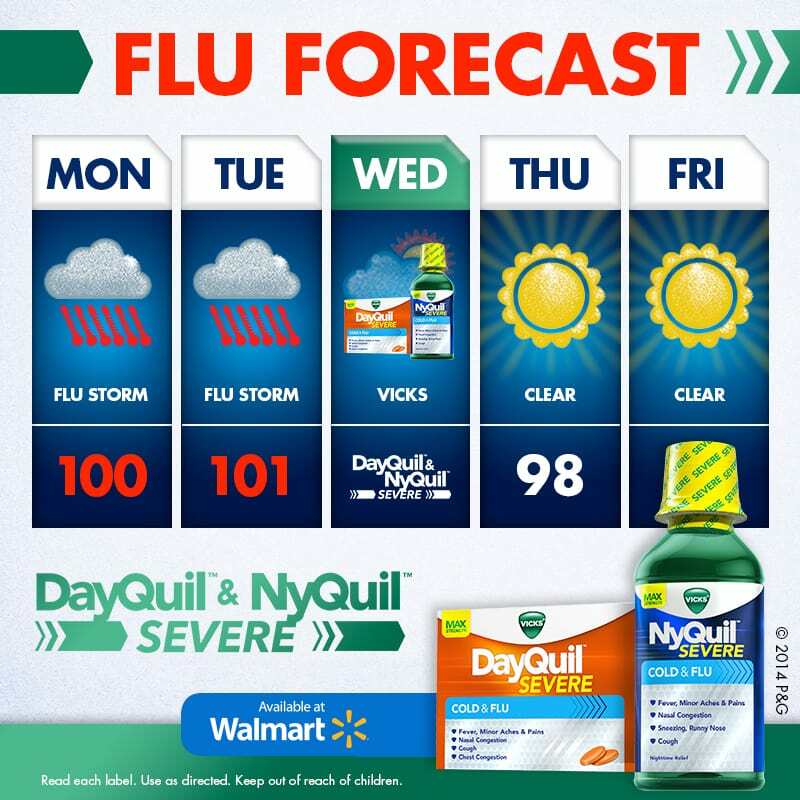 Recently I was browsing the aisles of Walmart to stock up on some “flu feel betters” since Mr. Savvy’s office had an outbreak of the flu and was happy to see that Vicks DayQuil and Nyquil are now available in a new maximum strength Severe formula. The NyQuil formula also now has a decongestant! Now you can tell your cough, congestion, fever, sore throat and more to take a hike while you get back to your day. I have NyQuil on hand all the time because I want relief immediately when I get sick. Your other tips are really good too! I love Nyquil when I’m sick. That and a lot of sleep and fluids always help. Those are great tips! I love to sleep, sleep, sleep when I am sick. And when I get up, I like a HOT, steamy shower. My daughter brought home the stomach flu, and was kind enough to share with everyone. I’ll be keeping these tips in mind as we recover.